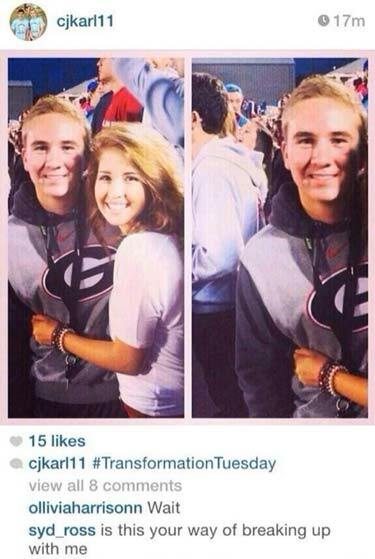 Before and after, the easy way to breakup with your high school sweetheart. Although she may or may not understand it as shown here. I think she may have concluded the relationship has come to an end.